Police have killed the suspected gunman, Cherif Chekatt, who was the subject of a two-day manhunt after a shooting that killed at least three people near a Christmas market in Strasbourg, France, on Tuesday, according to France's interior minister. Christophe Castaner said police went to the neighbourhood where Chekatt had last been seen. He said around 9 p.m. local time, three members of the national police force came upon the suspect. As they went to arrest him, the suspect turned to fire on the officers. The police returned fire, killing him. 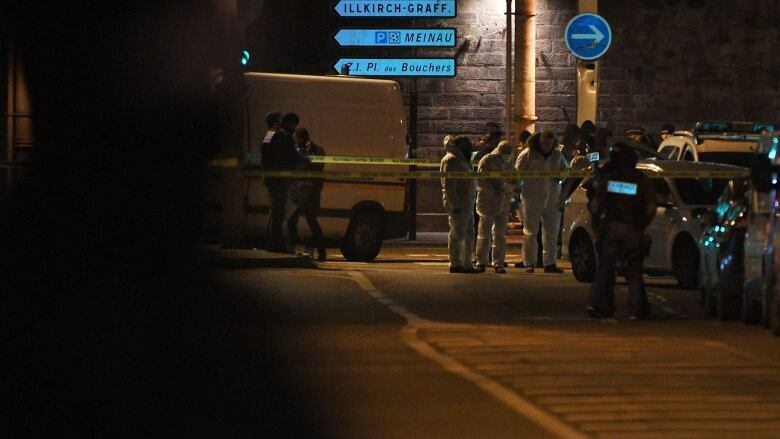 Minutes before the police shooting, a witness reported hearing helicopters hovering near the Meinau and Neudorf districts of Strasbourg about two kilometres from where he launched his attack on Tuesday. Earlier on Thursday, officials announced the death toll in the Christmas market attack rose to three. Chekatt was on a watch list as a potential security threat. Authorities say the 29-year-old was known to have developed radical religious views while in jail. 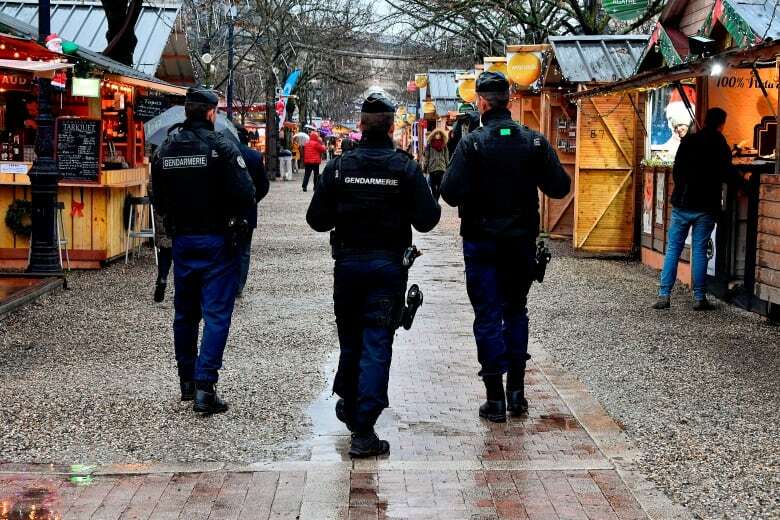 The initial Christmas market shooting happened Tuesday evening local time. There were reports police officers had twice cornered the shooter and exchanged gunfire, but he managed to escape. 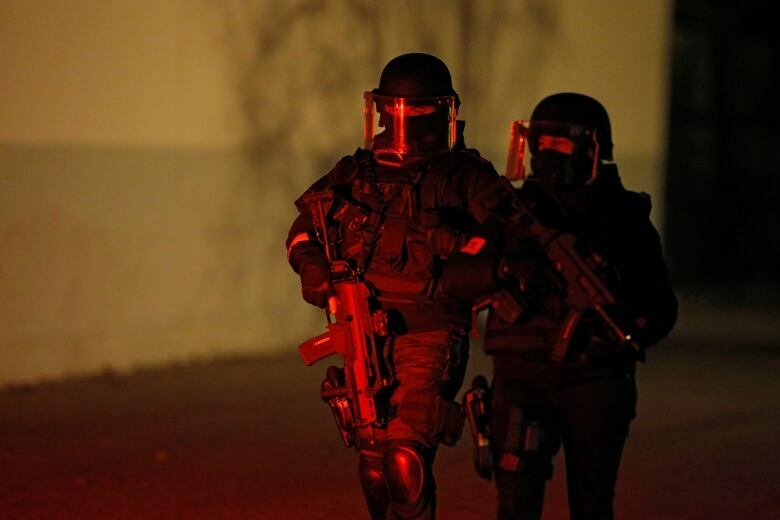 That set off a massive 48-hour manhunt in Strasbourg, which lies on the west bank of the Rhine, and the surrounding region. In all, five people were arrested and placed in custody in connection with the investigation into Tuesday's shooting, including Chekatt's parents and two of his brothers. 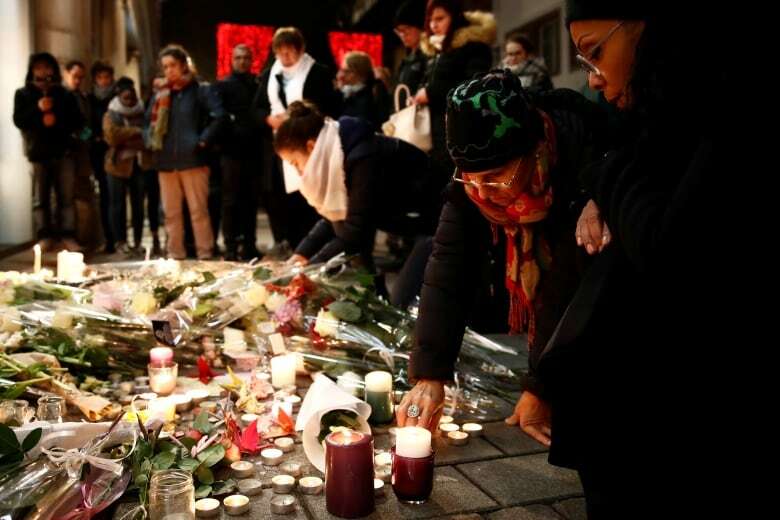 French authorities said Chekatt, born in Strasbourg, appeared on a watch list of people flagged for extremist views. They said he had 27 criminal convictions, receiving the first at age 13. The Christmas market, closed since the shooting, will re-open Friday morning, according to Strasbourg's mayor. The attack took place at a testing time for President Emmanuel Macron, who on Monday announced tax concessions to quell a month-long public revolt over living costs that spurred the worst unrest in central Paris since the 1968 student riots. The last three consecutive Saturdays of riots in the capital have seen cars torched, shops looted and the Arc de Triomphe defaced. "We're simply saying at this stage that, given the events that are unfolding after the terrorist attack in Strasbourg, it would be preferable if everyone could go about a Saturday before the festive holidays in a quiet way," French government spokesman Benjamin Griveaux said.